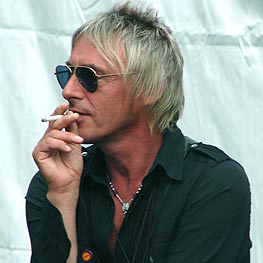 Paul Weller, chilling out, have a smoke. I really like the video to the song, looks pretty cool, very appealing to the eye I believe. The song itself, I think is quite daunting and scary in parts with Paul’s smoky voice singing over it. I would of loved to have a Weller guitar solo on this song, or a proper catchy riff I think either of those elements could have only made the song. Not Over struck by it at the moment…I think it’s a grower though so give it a couple of days, I’ll be all over it. Long live The Modfather.